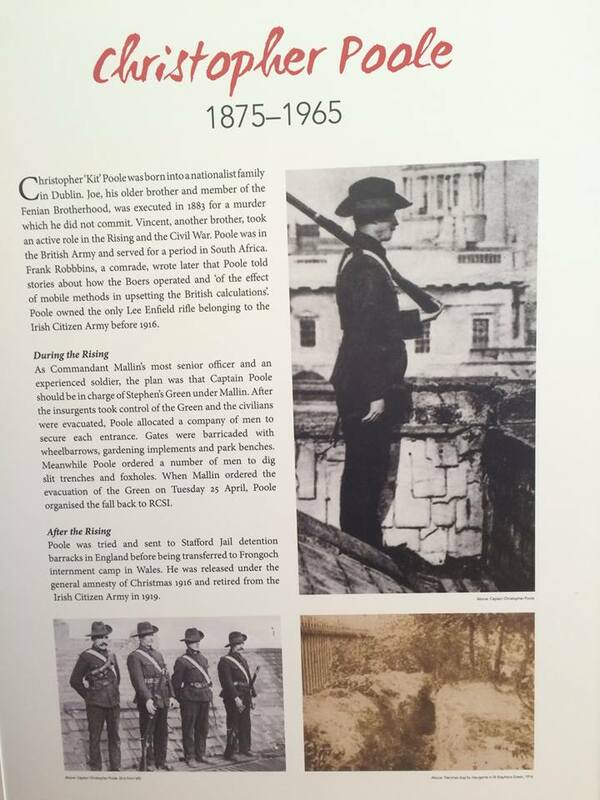 The RSCI recently had an exhibition showcasing the battle of St. Stephen's Green during Easter Week of 1916. Amongst the trove of profiles and dioramas on display were some possessions and a large wall-sized profile of Christopher Poole and his role during the rising. Below are scans and photos of the exhibits focused on Christopher Poole. The Exhibition is currently doing rounds around Ireland.